I love the process of making it, I love the smell of it and I love to eat it. That said, even a small pork shoulder is at least 6 lbs, and that means lots of leftovers. We all enjoy pulled pork sandwiches, but after a few meals in a row, it’s time to shake things up a bit and use the leftovers for other dishes. 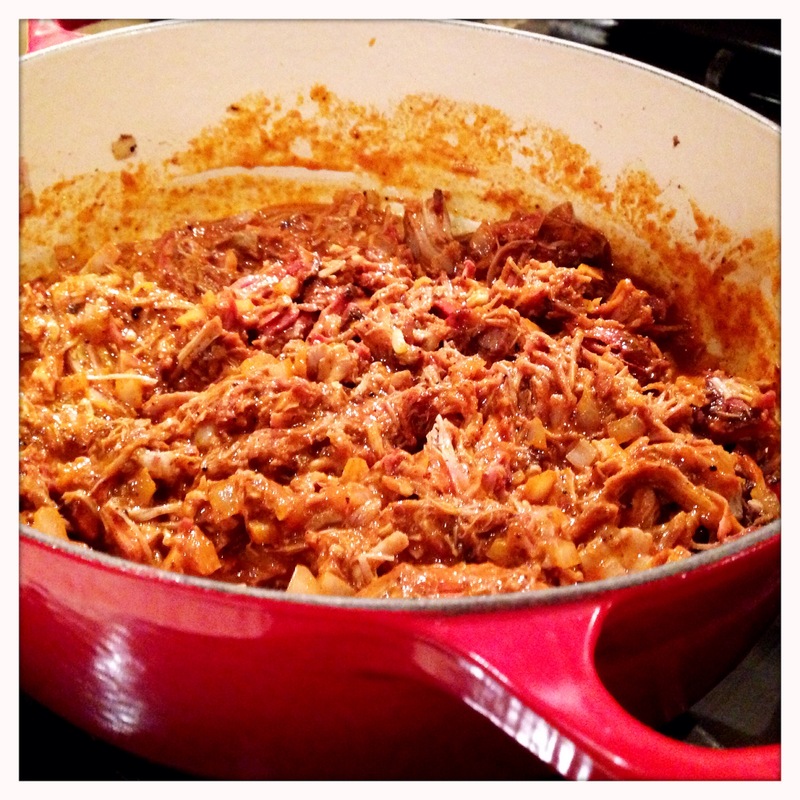 One of the first things that comes to mind when looking at a few pounds of leftover BBQ pork is tacos. This is a quick meal since the meat is already cooked and just needs to be seasoned. 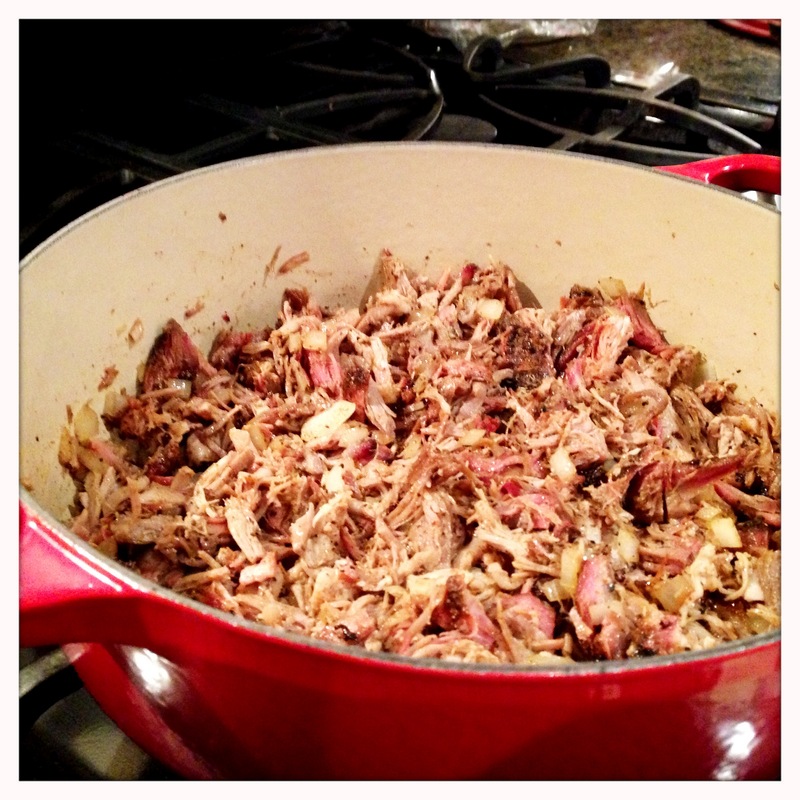 The smoky flavor of the pork goes great with the earthy, spicy taco seasonings. If you’ve never had BBQ pork tacos, you’re in for a treat. And, if you’ve had them more times than you count, you’re still in a for a treat – you just already know how great that treat is going to be. Let’s get started! Break up the BBQ pork into smaller shreds. You can do this with your hands or run a sharp knife through the pile of meat a few times. 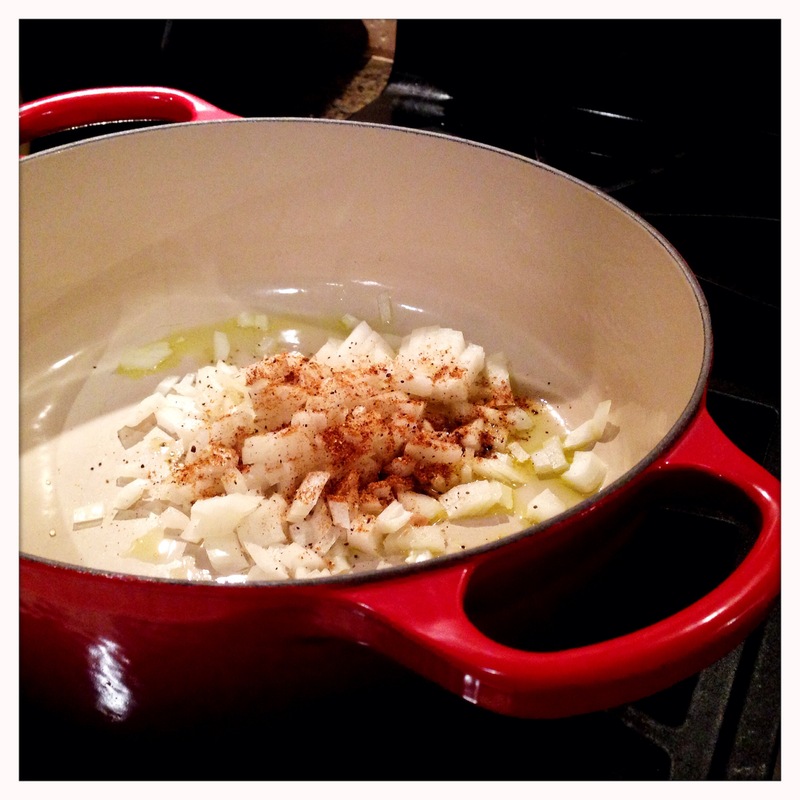 In a heavy pan or pot, preferably cast iron, heat a little olive oil of medium high heat. Once the oil is hot, toss in the chopped onion. I seasoned the onions with a little leftover BBQ rub from when I’d smoked the pork. This is optional, but I think it pulls the BBQ flavor into the onion before the meat is added. Saute the onions until they soften and start to brown. Be careful not to burn them. Add a little more oil if needed. Once the onions are softened, add the pork to the pan. Stir it a few times to distribute the onions and the oil, and start to warm the pork. The pork is already cooked, but it’s good to warm up the meat before adding the sauce. Once the pork is warmed through, add the sauce. Stir the sauce to cover the meat, and then reduce the heat to a simmer. If you like your taco meat drier, keep it uncovered. 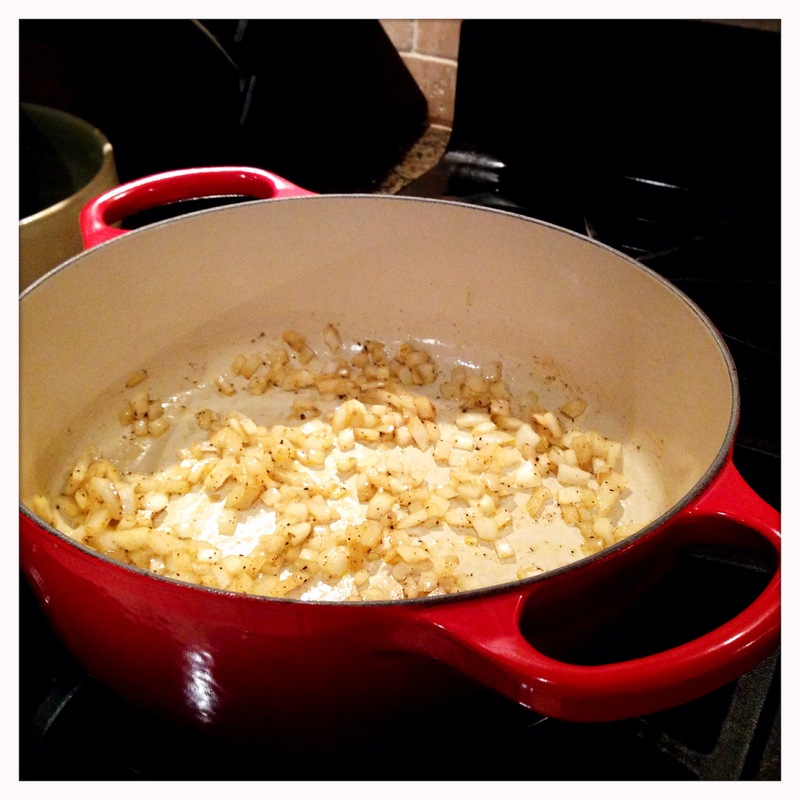 If you like the meat saucier, cover the pot with a tight-fitting lid to retain the moisture. As I mentioned in the ingredient list, I’m very into the Rick Bayless Frontera taco/enchilada seasonings lately. They’re a little pricier than some of the bottled sauces (and quite a bit more than the dry packets of seasoning), but they’re made out of all real, normal sounding ingredients. I used the red enchilada sauce, and was happy to see that the first ingredient was tomatoes. All of the remaining ingredients were either vegetables (peppers, etc) or spices. When comparing this to some of the cheaper enchilada sauces, I was stunned by the oddball things that are in those sauces. Regardless of your stance on the health implications, I can guarantee that the fresh ingredients in the Frontera sauce win out in taste, and that’s the most important thing in my kitchen! Let the meat simmer in the sauce for at least 15 minutes to get the flavors to thoroughly combine. 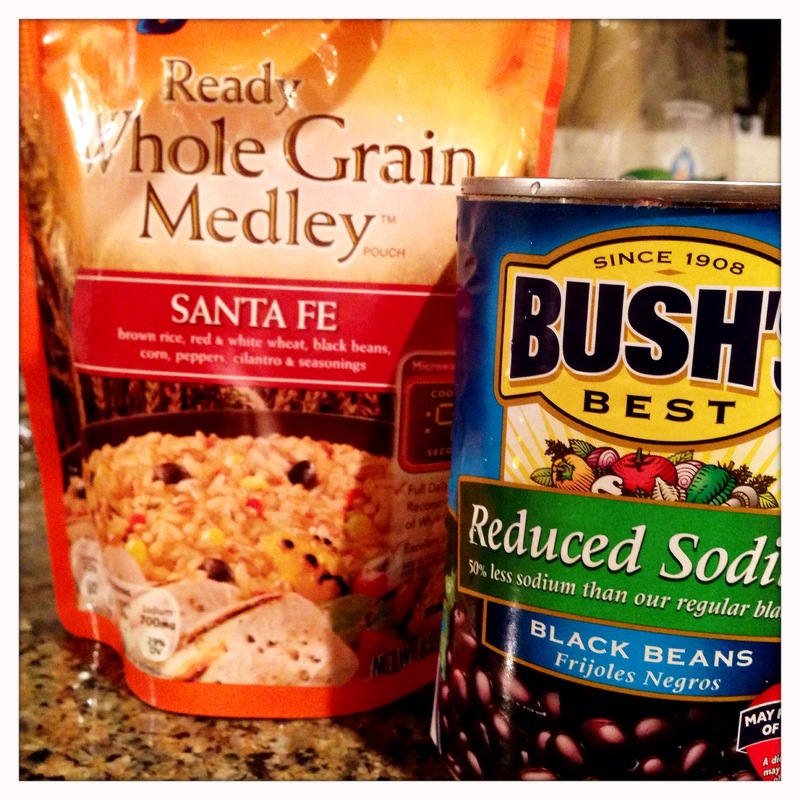 While the meat is simmering, let’s make a quick side of rice and beans. I don’t always use pre-made foods, but this is a case where I simply can’t beat a delicious side that is literally done in less than two minutes. The rice microwaves in 90 seconds. While it’s in the microwave, drain the beans in a strainer and rinse. I rinse them with hot water to start warming them. 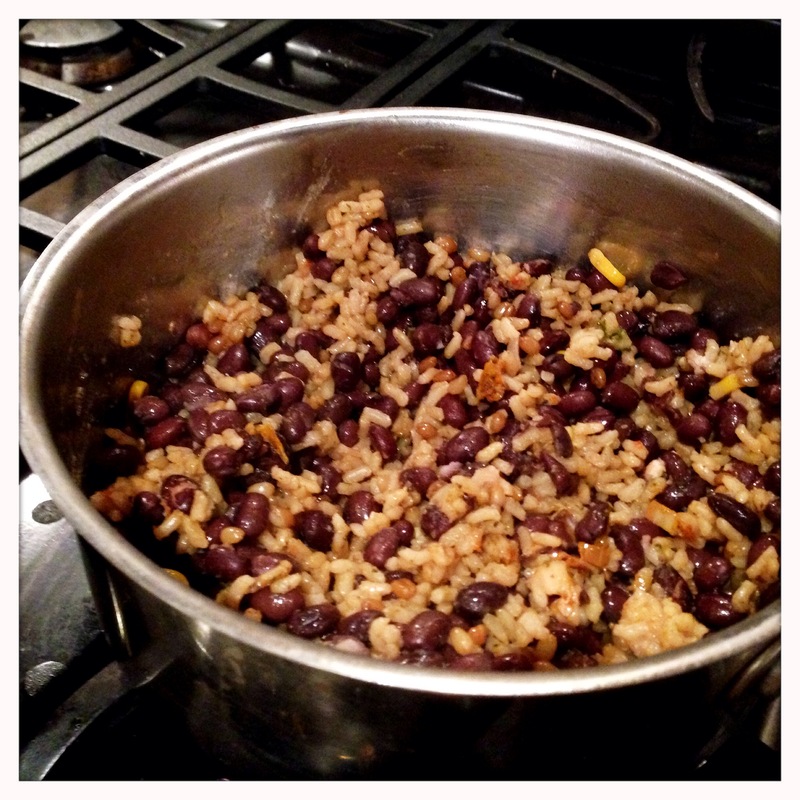 Toss the beans into a pot, cover with the hot rice and stir. Cover the pot, and let it sit until you’re ready to serve. If you want to step it up a notch, stir in a little salsa, but it’s delicious even without any additions. The last step is preparing the tortillas. If your grocery store carries any locally made tortillas, get them. Not only are they usually cheaper (the pack of corn tortillas I got was 39 cents! ), but they will be fresher and tastier as well. 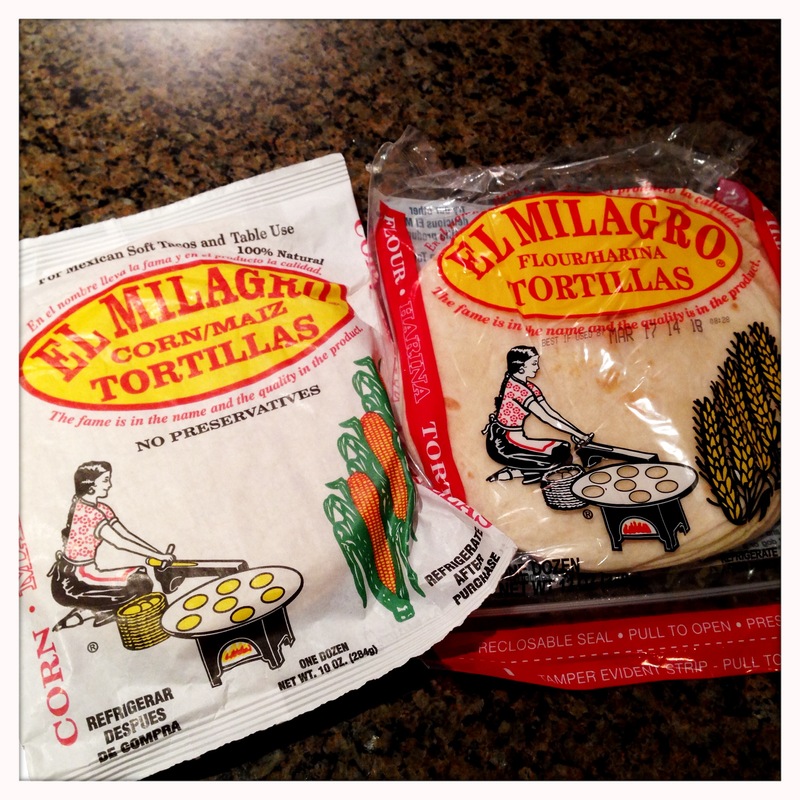 Mrs. Eats For All Ages prefers flour tortillas, while I prefer corn, so I always buy both. 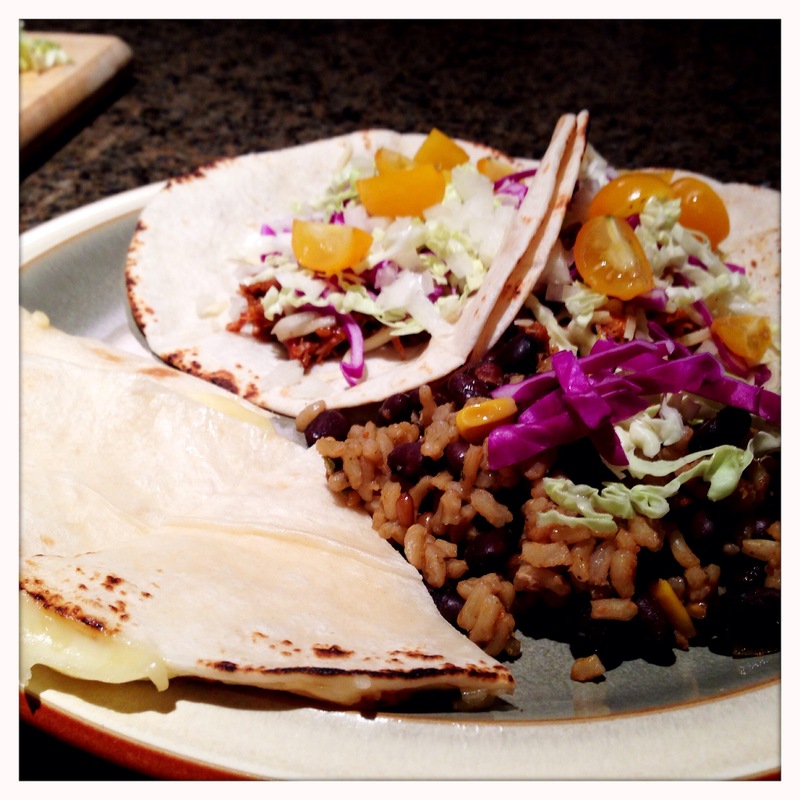 (The flour tortillas are also great for making quesadillas, which are always present on my taco plates!) It is critical to heat the tortillas before constructing your tacos as this makes them more flexible and keeps them from breaking or falling part. 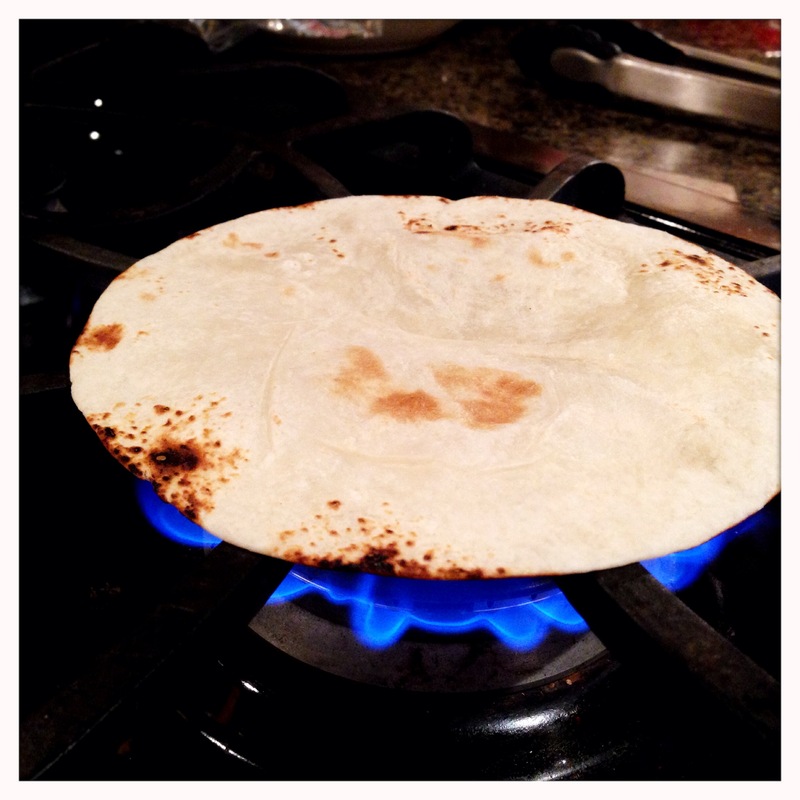 For flour tortillas, just toss them on a burner on the stove for about 5 seconds per side. Flip them carefully with tongs, and be careful not to let them catch on fire. You’re not trying to cook them, just barely char them. 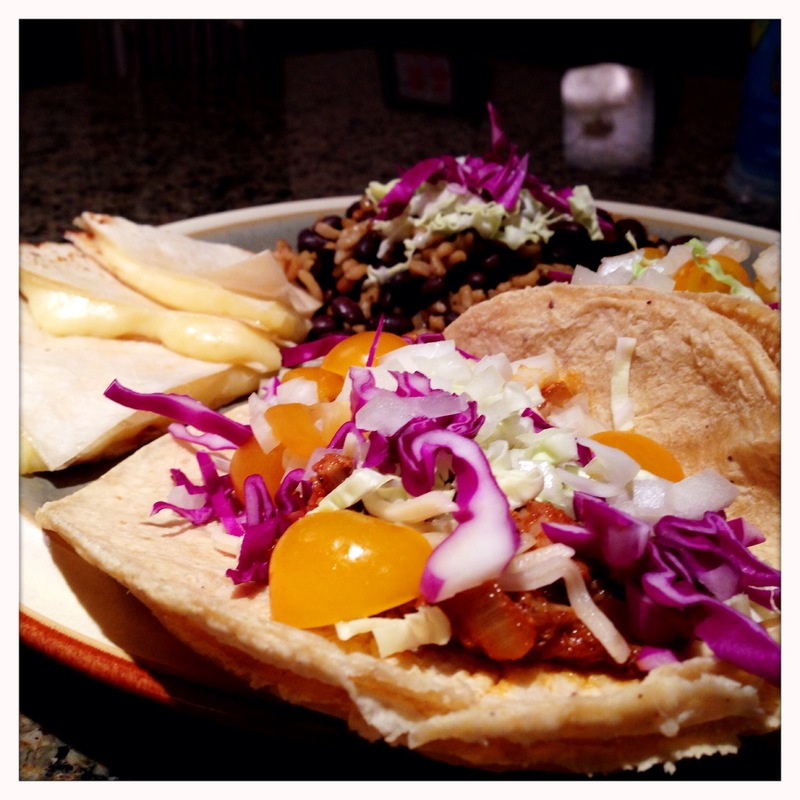 The corn tortillas should be heated in a hot iron skillet for about 20 seconds per side. Again, be careful not to overcook them or you’ll have big corn chips instead of soft taco shells. 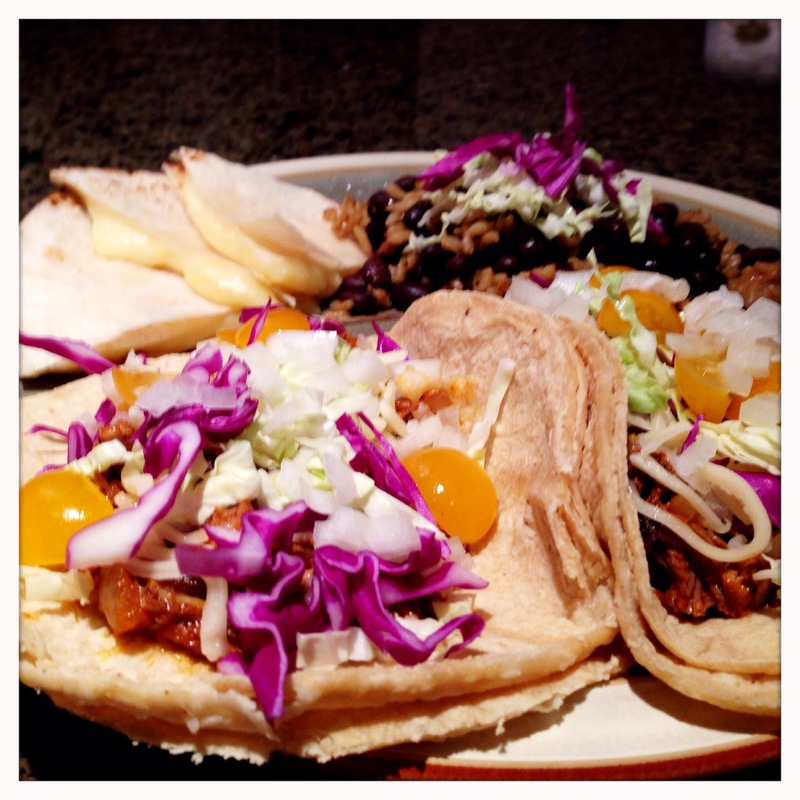 Also, when using corn tortillas, always double them up when making the tacos to help hold everything together. Put a layer of meat on the tortilla, leaving a little space on the ends to control the runoff when you eat them. Cover the meat with a sprinkle of cheese and whatever veggies you like. 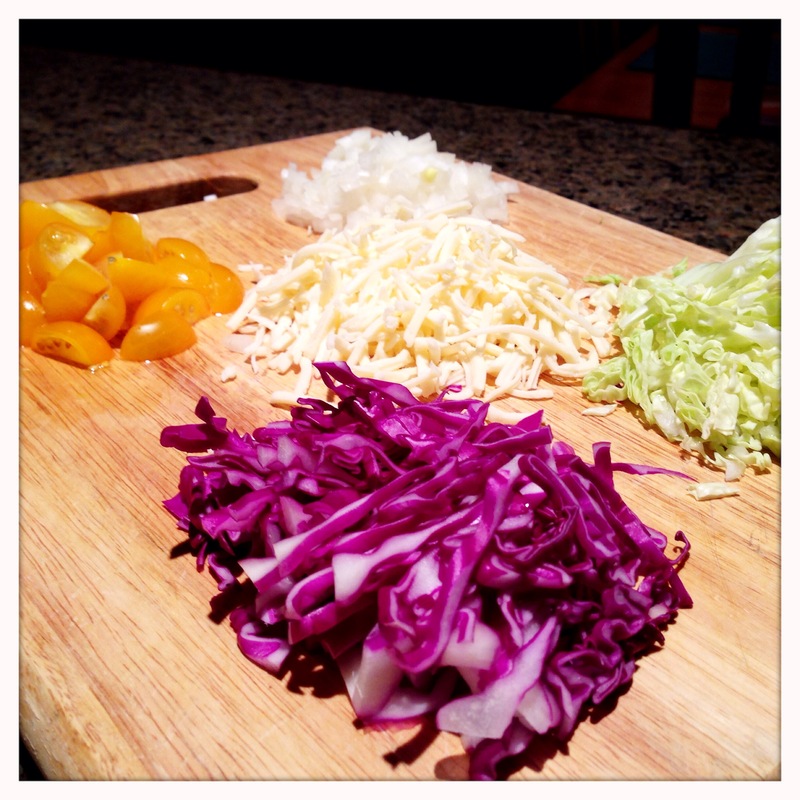 I love the flavor and crunch raw cabbage adds to a taco, and I think the colors of the cabbage and the yellow tomatoes make for a really attractive plate. I put a few shreds of cabbage on top of the rice and beans, as well, and finish the plate off with a few quesadilla triangles. 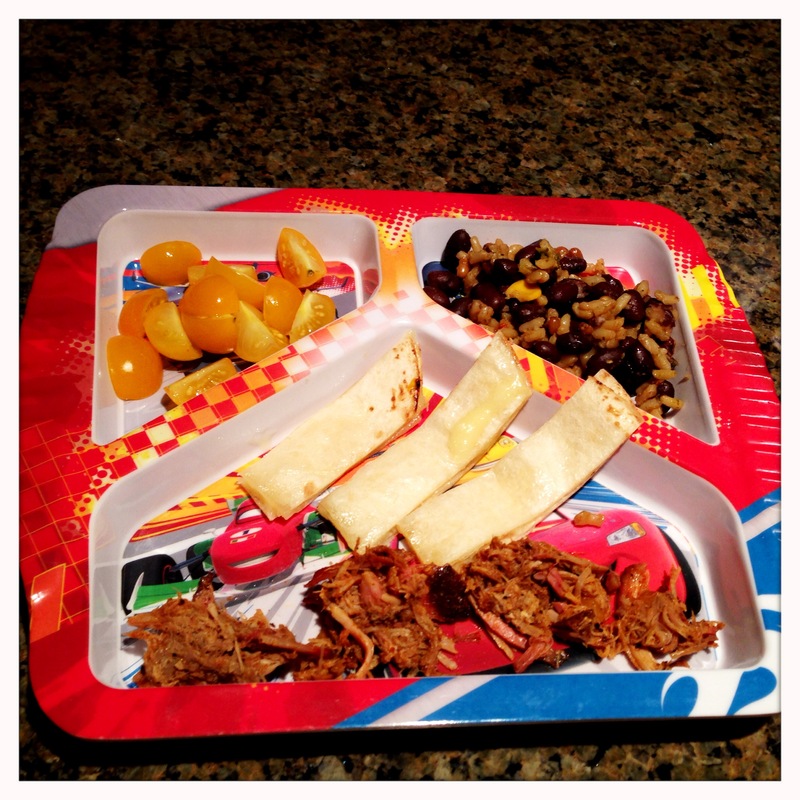 Our little guy isn’t quite ready for the whole taco, but loves all the components, so he gets a very trendy “deconstructed taco” plate with some quesadilla strips. As there’s still a few pounds of pork in the fridge, I will try to keep my creativity flowing and come up with some more leftover BBQ meals. I am thinking BBQ pork hash will be a given as corned beef hash is one of my favorite breakfast dishes. 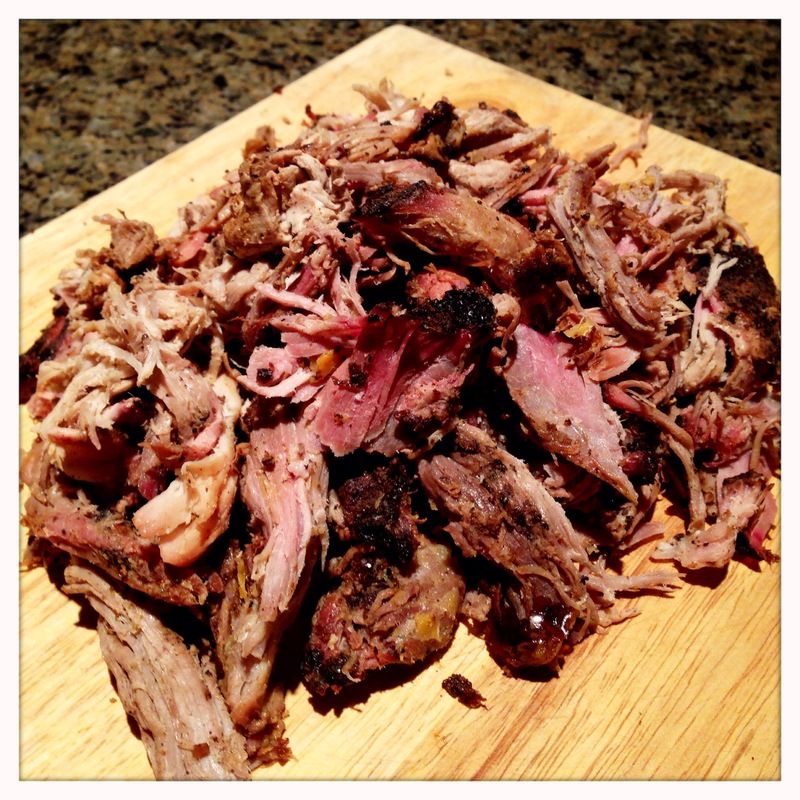 In the meantime, maybe I’ll have another pulled pork sammie while I think… Enjoy! 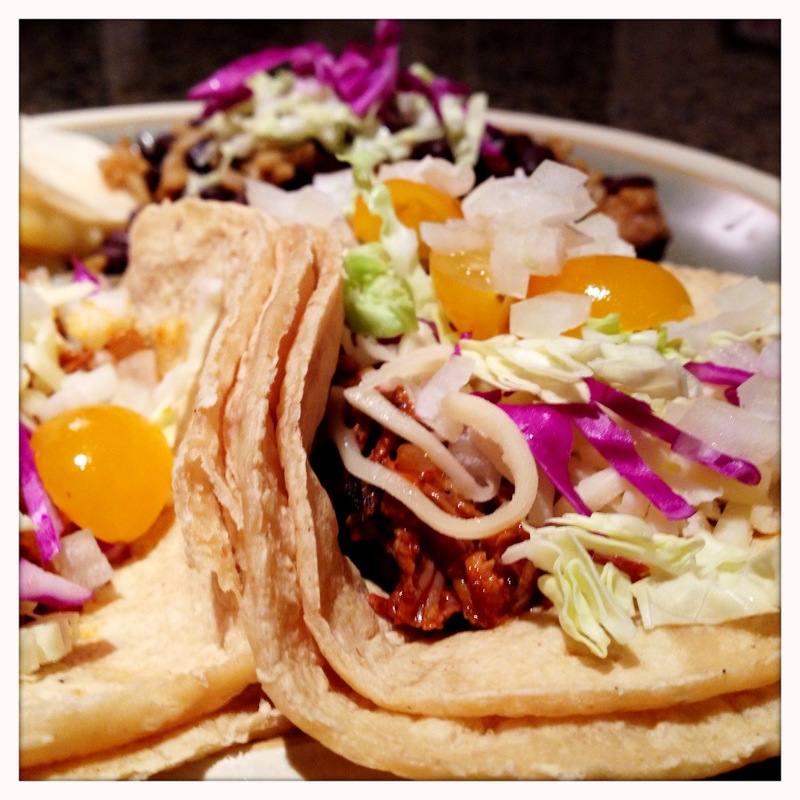 Tacos are delicious made with pulled pork and yours look terrific. Using the rest of the meat in a hash is perfect for a weekend brunch. Thanks! Haven’t gotten around to photos of a hash yet, but I just froze what was left to save for an upcoming chili. Thanks for dropping by my blog!